It doesn't get very cool at Hopper Island, but when we head north to visit out friends and family, we like to layer up with and stay warm. These scarves are just the ticket for that! 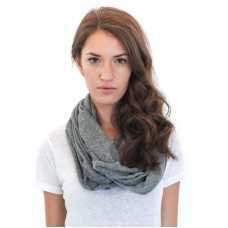 This scarf is warm, comfy, soft, and sustainably produced Womne's Eco Tri-Blend Infinity Scar..